So are they up for pre order anywhere? You can pre-order from Soap Studio at the moment. Outside of that, I haven't looked. Screw the tv stuff (unless Supergirl turns out well), I’m holding out for the Nolan stuff. Flash and Arrow don’t look to be worth the money. I think Bruce and Ras look pretty good. If they're around $50 I'd probably get them, but they look inferior in almost every way to Mezco's One:12 line, so if these are priced at $80, no way I'd buy these. I think the soft goods on these 2 figures is far better than the head sculpts/paint deco. Hoping these are on the cheaper side because I would like to have figures from these scenes. 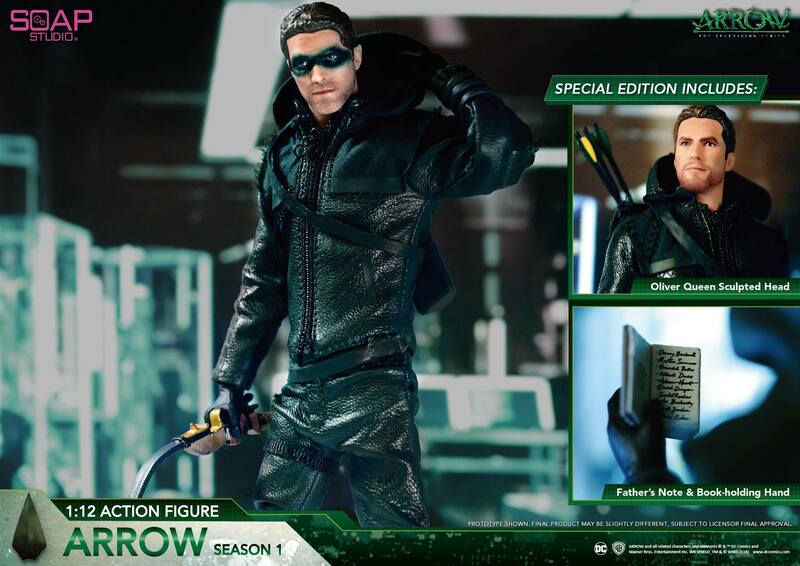 Probably going to be closer to $75 each, which is what the Flash and Arrow figures came in at. There the special set is $179 and normal set is $151. 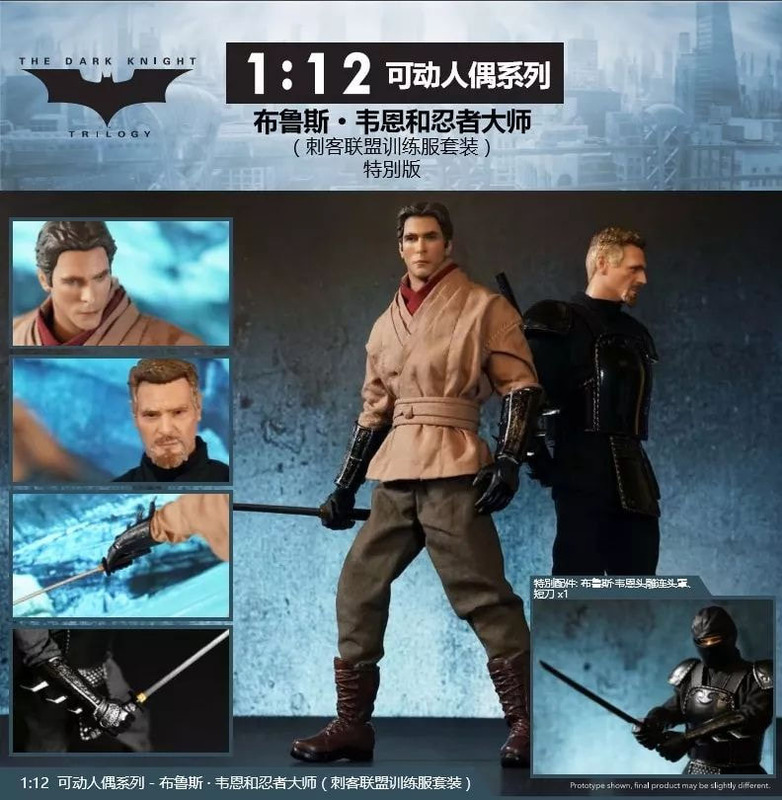 The only difference is it says "Bruce Wayne's sculpted head with mask and dagger." I don't think the ask and dagger is worth almost $30. Especially since then you don't have a Ra's al Ghul figure anymore after you do that. I don't know if anyone else will ever tackle these guys, so it is tempting in that way. Dude these look awesome! That Ra’s is my favorite! Especially with the mask on. Sick!!! All I need to know is how much money? Very cool! So they're only being sold as a set? This is a reputable site I assume? Never ordered here before. Thanks! OSK is reputable. They are now up on BBTS for more money now. The special set is $200, which is absurd I think. Yes! I how so. 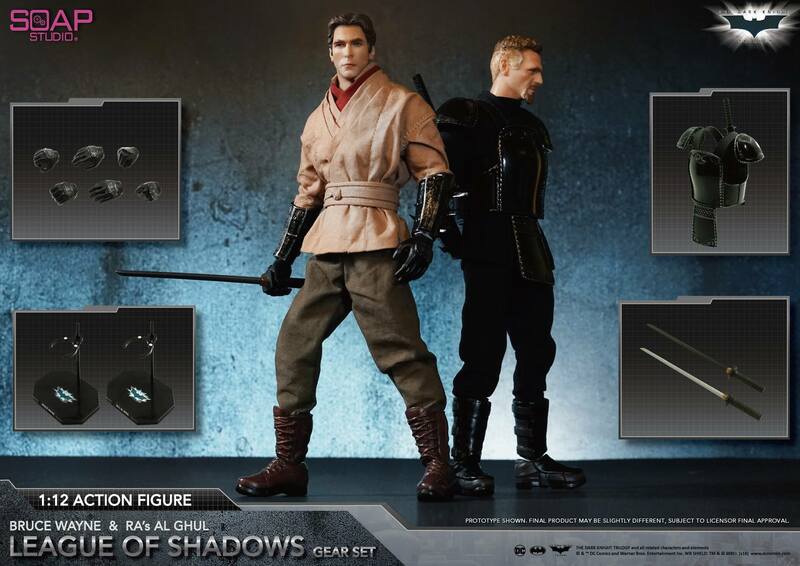 Dude this line doing cw is gong to kill it i preordered the 1/8 scale i really think that's gonna be the next big line at least for this company they look legit. These are far superior to the mezco, mezco all have stocky bodies like dkreturns batman;a speedster needs that thin frame that star ace captured. 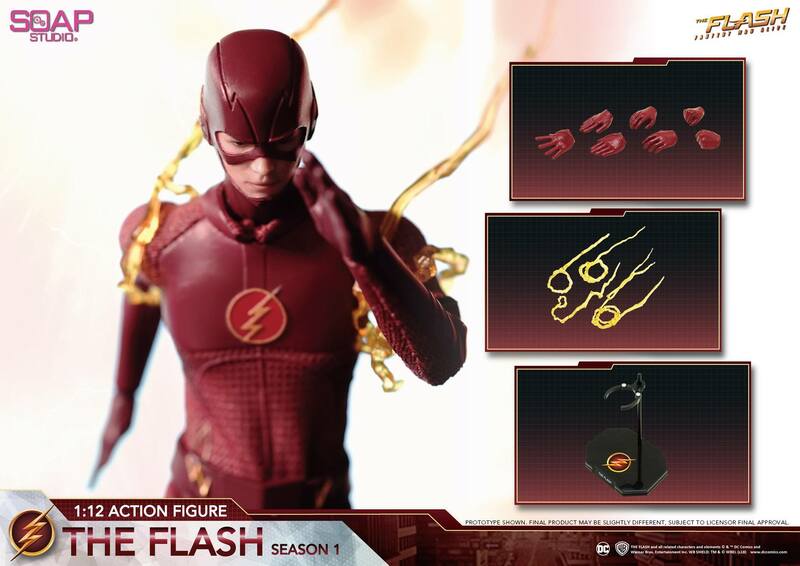 Big fan of the flash tv show, but passed on the original flash figure because I thought the face sculpt didn't look all that great. RF's sculpt look better, IMO. The hands look really small. They might need to be increased in size just a tiny bit. Also the trident can be a little big more wider. 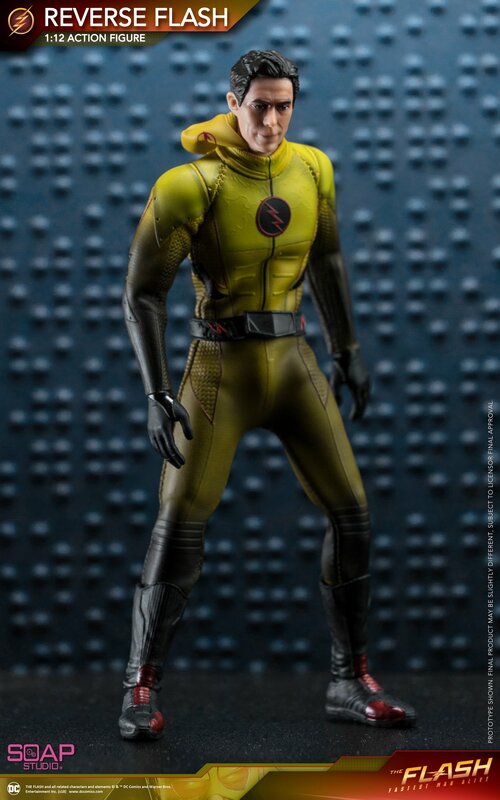 I just hope the body is a brand new mold being more buff and similar to the Mezco ones. 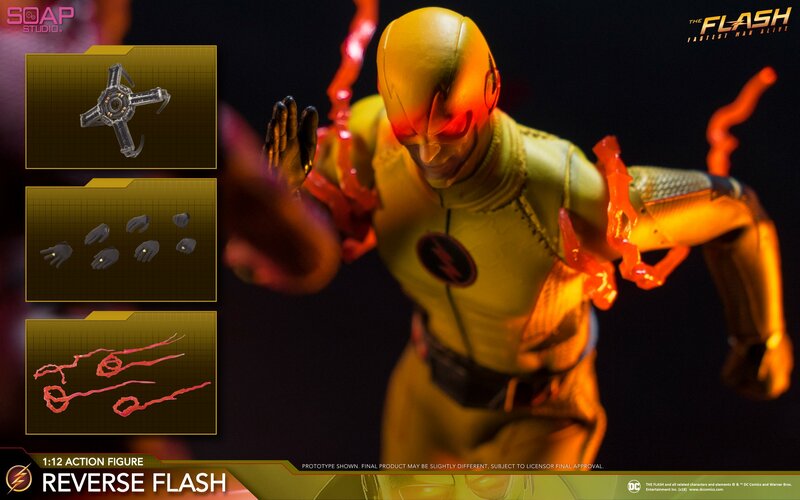 Lastly, hope the suit isn't a solid piece of armor so we can have articulation that works since so far Soap figures have been having some QC issues and can use more improvements which the Reverse Flash looks like it's a step in the right direction even with the face sculpt. The proportions look wonky. Tiny hands, oddly wide body, it looks odd. 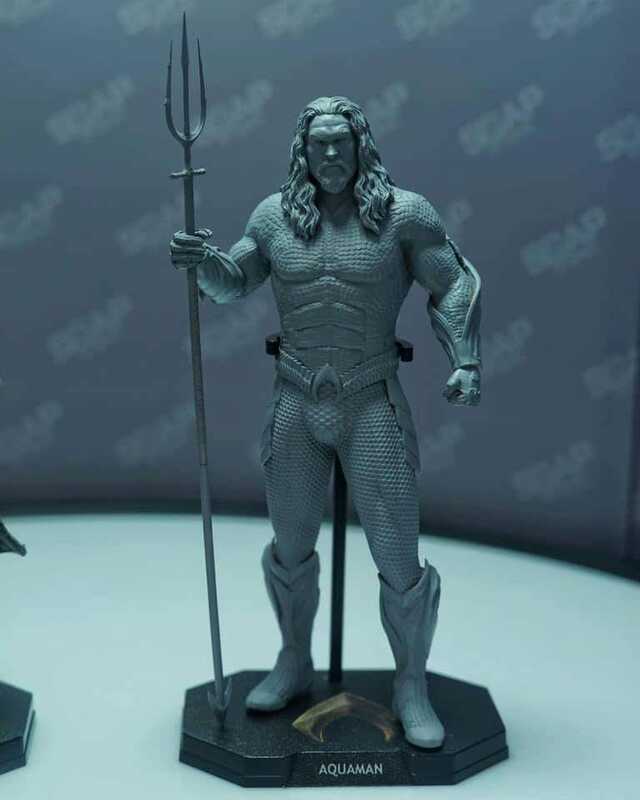 Aquaman looks buff as hell! And is that suit made of rubber? He’s probably not gonna move a whole lot but still looks pretty cool. Now let’s see that nurse Joker. I’d like for these guys to start a 1/12 Arkham games line purely so I can get a Mr Freeze.